Certified 5K race course at the Regional Athletic Center in Lacey. 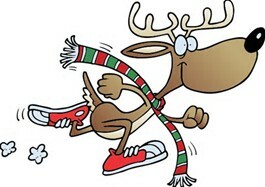 Registration fee includes a multifunctional bandana for pre-registered participants and jingle bells for runners’ shoes. FREE – 1 Mile Candy Cane Run. Awards plus post-race food to included. Registration and bib pickup is on saturday(12/8 and 12/15) 10am-3pm at south sound running in Olympia. There will be race day registration and bib pick up starting at 7:30am. Please visit our facebook page Crime Stoppers of South Sound or Reindeer Run 2018 Crime Stoppers of South SOund for course map and up to date race info.